What’s inside is important to God, and we see that affirmed in the story where today’s key verse is found. Jesus and the disciples are traveling, when a guy stops Jesus and asks Him to step in and demand that his brother share a portion of an inheritance. Jesus hears something in the man’s request that troubles Him. In direct response to the man’s question, He starts a conversation about craving what you don’t have. Jesus tells a parable about a rich man who has a fertile farm. His barns are full. Yet instead of being content, he tears down the old barns and builds bigger, better barns to store more grain to acquire even more wealth. Jesus warns His listeners that these things aren’t what fulfill us, but rather we find our “riches” in our relationship with God (verse 20). It’s a lesson Jesus taught often. He helped lead His disciples away from worrying over things that didn’t have lasting significance, to center on things that did. So often we are measured in this culture by things that have little eternal value, like how in shape (or out-of-shape) we are, the size of our home, the prestige of our job, our cute shoes or wardrobe. Can I be honest? Sometimes I measure myself by those same standards, forgetting there’s much more to life than that. But I know that as a woman who’s loved by Jesus, I am faith-filled and my faith shines a light in darkness. Jesus led the disciples to a life of “more.” He leads you and me down the same path — to a life well-lived from the inside out. Dear Jesus, I know that beauty begins with my heart, but sometimes that’s not where I put my energy or thoughts. Give me wisdom to end the pursuit of things that have little eternal value. Help me run after what changes me from the inside out. In Jesus’ Name, Amen. 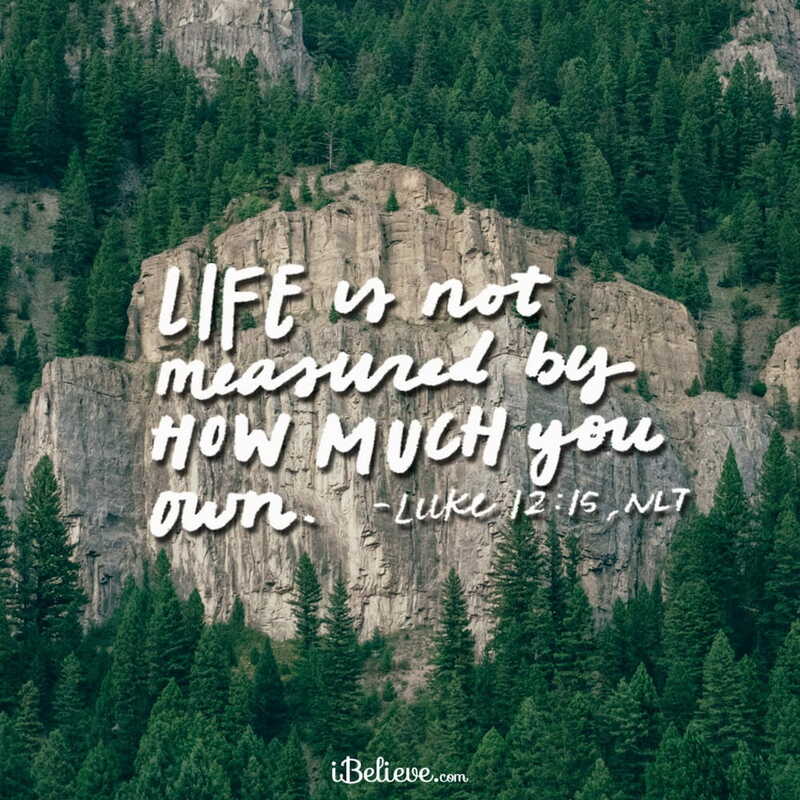 Editor’s Note: Content taken from the Encouragement for Today devotional, Life is More, written by Suzie Eller. You can read that piece in full here. All rights reserved.